Ango is the name for the period during the rainy season in India when the Buddha’s Sangha gathered together to practice the teachings. It was a time of living in community developing the spirit of Awakening by means of simple actions like sitting, walking, standing or lying, in harmony with the rest. 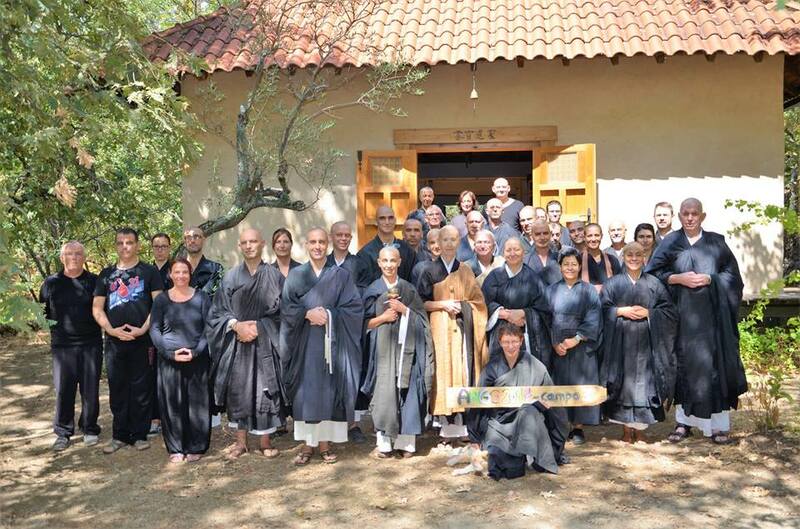 Certainly, during the summer vacations, instead of keeping ourselves busy scattering our energies and spirit all over the place, we can concentrate on practicing the Way, even if only for the profound harmony that binds the whole group after several days of joint practice. Under the expert guidance of the Master, we practice being present, without abandoning ourselves to our thoughts, raising a conscience that so often make us realize our stupidity, as we find ourselves frequently locked in our own personal viewpoints. And so, as time passes educating a mind free of clinging, also free of expectations, we move forward towards the compassionate energy brought about by Zazen, and the Buddhas start to like us. We are all equipped with the potential. We gather merits that will constitute a good root, at the same time making the world a place a little bit better. It is not only about us anymore. We water the seeds that one day will transform our lives. And will help others to follow the same trail.